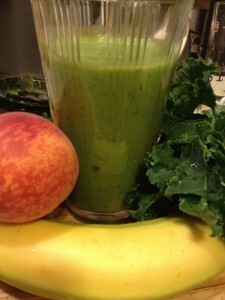 Pour half the water in the blender and then add again after all the kale and fruits are blended to get your desired consistency. Remember to keep a few bananas in the fridge so your smoothies will be colder. Check out the benefits of kale. Enjoy!